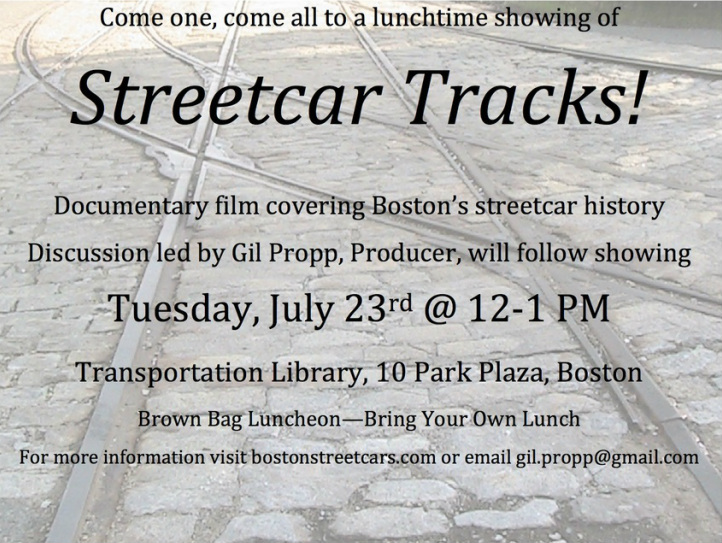 This page showcases praise for and publicity appearances of bostonstreetcars.com and Streetcar Tracks since the release of the pair in June of 2013. @streetcartracks I could look at these pics all day. Thanks! Monday - but not too early for a #FF. Check out @streetcartracks - Looking forward to seeing more photos of the old Dot Ave streetcars. As of July 2013, Streetcar Tracks is shown regularly at the Connecticut Trolley Museum and at the Boston Transit Library.